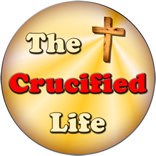 HomeThe Crucified Life Ministries BlogAre you spiritually alive? 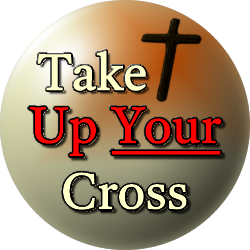 The preaching of the gospel message brings about the supernatural power of God for salvation. It is not man’s works, baptism, following rules, being a good person, or any other work pointing to man’s own power. Salvation only comes exclusively from the supernatural of God. Those who are not quickened spiritually alive cannot understand anything of a spiritual nature because they are dead in their spirit and alive unto the power of sin. The devil always has many foolish things to entertain those who are tuned into his limited power upon this earth. When mankind chooses to tune into the devil rather than take to his heart the things of God all spiritual things seem to be a waste of time and unnecessary for living a full life upon this earth. When man becomes enlightened and spiritually alive upon this earth man’s eyesight and hearing are softened towards things of God allowing mankind to view and hear all things through His newly opened and perfected spiritual sense tuned into God’s spiritual channel from the heavenly realm. This brings understanding and supernatural clarity of God’s supernatural power at work on this earth. Are you spiritually dialed into God’s channel or tuned in to hear the dark message from the god of this world?